Now hurry up and give us season two already Netflix! Like an ex who enjoys ghosting on you from time to time, Netflix left us hanging after the first season of Sacred Games was over. Every time someone desperately wanted to know when they will be making a comeback, there would be either dead silence or evasive “I don’t know” responses from everyone involved with the show. Because the mystery needed to be kept alive, just like Trivedi. And, finally Netflix India’s social media channels teased us yesterday in Ganesh Gaitonde style and people lost it on Twitter. 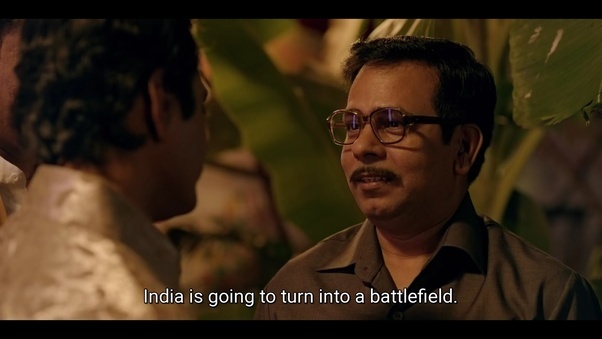 The first season of the Vikramaditya Motwane and Anurag Kashyap-directed show that left us shook aired last July and we deserved more than a cliffhanger of an ending with no guarantee of a timely return. And some were ready ala Gaitonde bhau!